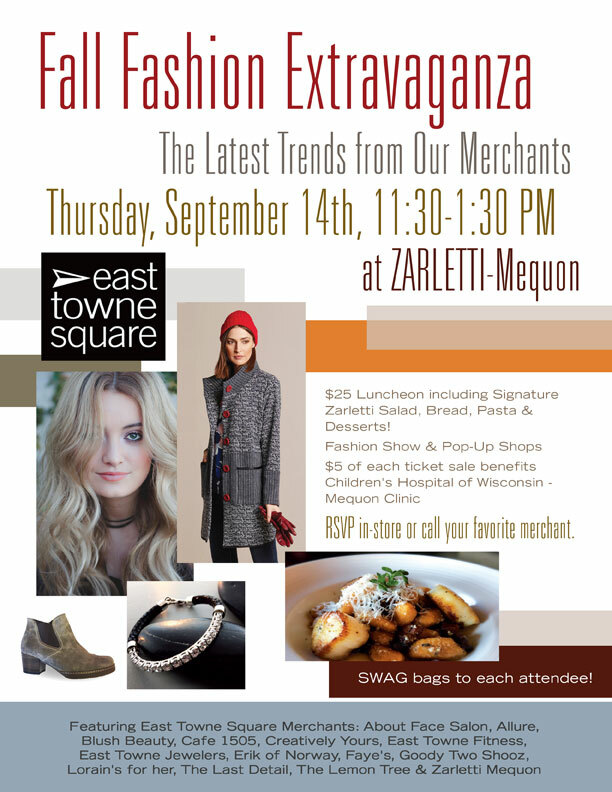 East Towne Square Mall is hosting a Fall Fashion Extravaganza on Thursday, September 14th from 11:30AM to 1:30PM. You can find East Towne Jewelers popup table at the event with some of your favorite pieces. Don't miss it.